Affordable, easy to keep and carry everywhere. Suitable for household and it is multi-purpose detergent. The most effective and viral removal agent for stubborn dirt. More white and radiant. Anti-bacterial formula - kills bacteria in the water when the detergent powder is mixed. Therefore, the soaked clothes for days are not foul because bacteria in the water are inactive. Preventing color bleaching of cloth, making clothing more radiant. Anti-reagent agent- prevents dirt from sticking back to the celestial fabric washed. Preventing colors on clothing is faded from sunlight. Special fragrance of RONDA LEMON. Works great on hard effects including sauces, oil / greens, grass and soil in dirt. Add 1 tablespoon of SABUN PUTEH per gallon or 2 tablespoon in a washing machine. Pre-rinsing for at least 30 minutes before washing. 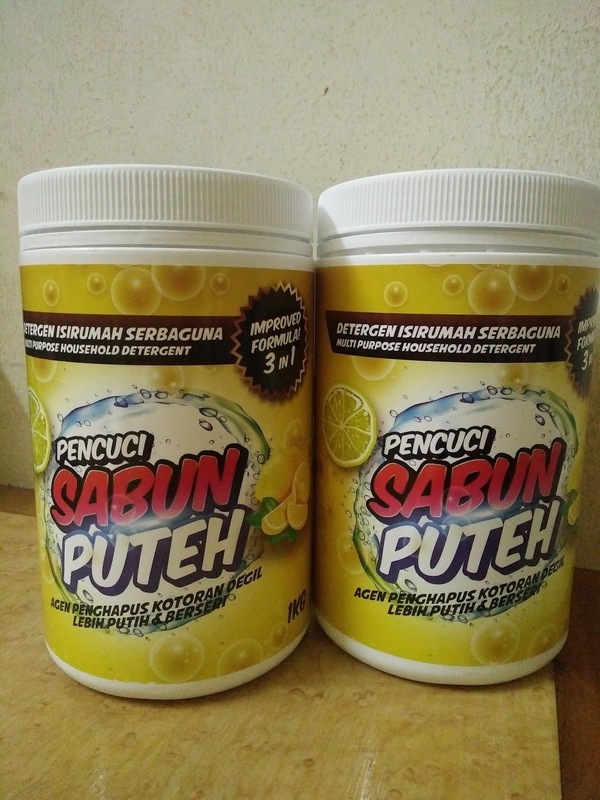 To wash the toilet bowl / sink / tile / shower, sprinkle 1/2 tbsp SABUN PUTEH in 1 liter of water. For your information, this product is not suitable for silk & velvet fabrics. The weight of a bottle is 1kg and the price is RM18 for Peninsular Malaysia while Sabah & Sarawak RM23 does not include shipping costs. If interested to buy can contact directly +6018-2252210 for more information and orders.